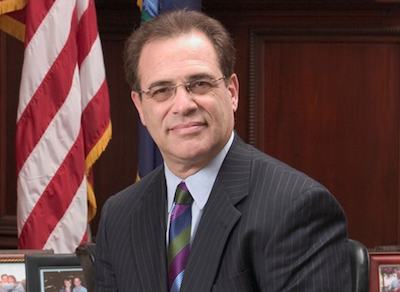 Robert Ficano is the former Wayne County Executive. Anyone who has driven our highways the past decade understands why “fixing the damn roads” resonated when then-candidate Gretchen Whitmer used that as a central theme in her successful campaign for Governor. There have been many fits and starts by previous Michigan governors and legislators trying to solve this politically charged issue. Nobody seems to have found a fiscal or constructive solution to this problem. As a state, we always seem to suffer in comparison to our fellow neighboring states such as Ohio and Indiana. Gov. Whitmer is proposing a courageous solutions for fixing our roads in her budget proposal. Now may be the right time to show some real political courage in dealing with the elephant in the room: Public Act 51. Michigan roads are funded through PA 51 which determines how money get distributed among the state, counties and cities. This law passed in 1951 to try and find a compromise between out-state communities and urban areas. The law deals with collecting motor fuel and vehicle tax revenues. After the taxes are collected, approximately 39 percent of the revenue goes to the state for roads maintained by the Michigan Department of Transportation, 39 percent to counties for county roads and 21.8 percent to cities and villages for their street systems. The Detroit Metropolitan area and other urban areas always seem to get the short end of that stick. How so? This formula has been around for more than 60 years, is antiquated, and does not take into consideration and prioritize heavily-used roads in metropolitan areas. Can anyone really argue that heavy trucks and high-volume car usage in densely populated areas such as Southeastern Michigan take a much heavier toll on our roads than in rural areas of the state? It would make sense to put more money in road maintenance in urban areas than rural roads since that is where most of the usage and damage exist. Those of us in Southeastern Michigan generate the vast majority of the funds used in PA 51. I doubt the PA 51 formula will be changed to benefit and prioritize the distribution of road funds as it should be. The Legislature has had many opportunities to make the adjustment but has failed to act. So, maybe it’s time for a referendum. I am sure the voters who are being shortchanged in the Detroit Metro area would support such an adjustment to the PA 51 formula. We in Southeastern Michigan have generated the vast revenue used in PA 51 and deserve a better return on tax dollars. It’s time to take on the elephant in the room known as PA 51. A nice change from the way too many whiny, hand wringing pieces run on Bridge, (two just earlier this week)! A person who identifies a problem .... and gives us his solution to fix the problem! This should be a requirement in every piece! Fixing the formula regarding the way the tax money for roads is distributed in not the only fix that is needed. We also need to fix the way we build roads. The underlying geology of the road bed is not always the same, as a consequence, the base depth and composition can not always be the same. The autobahn in Germany, to my knowledge, has an 8 foot base. It has survived lots of traffic, including heavy traffic and freeze thaw cycles like we get in Michigan. We don't just need to change the way we fund roads, we need to change the way we build them. Sure. Try it and see how it works? Right on! The Autobahn is an ideal model for Michigan to use. Study it and adapt the concept to Michigan roads. Yep! that why Canadain roads last wall MI roads are made with JUNK<<<<< Look at the Divison the first Express way in MI>>> Lasted 60 years... rebuilt a few years ago has pot holes!!! I-75 built in the 1960!!!! Better the the new I-696 that has pot holes also!!!! It's your opinion that the SE part of the state is shortchanged in the road maintenance/repair funding distribution. It's just the opposite here in west Michigan. Go figure. Frost heave and extend freeze thaw cycles in other parts of the state also have significant impact on road conditions. I was at a MDOT pre-construction meeting this week and they have more projects on the books than we have construction season to get done. Significant funding has already started flowing to the road systems. Our resources need to be developed to make more frost resistant design standards to build better roads before we dump any more money at this. Minnesota, for example builds their roads on a layer of foam insulation to reduce the frost impact and self destruction on their roads. Michigan needs to get more creative and innovative with their construction standards and quality control to make these investment last better over time. The dense population centers can afford to put some of their other revenue effort into road maintenance. Leave ACT 51 as is, it has worked for 68 years. I'm guessing you don't drive in SE Michigan. Go south on I-75 into Ohio and tell me there is no difference. I agree that we need to update our funding systems for our roads. I would like to see any and all tax and fees monies collected regarding vehicle sales, maintenance, registration and operation go ONLY to road maintenance. And instead of putting all of it into a collective fund, monies that are collected outstate should stay in their respective communities. I drive F97 between St Helen and F18 going toward Luzerne. The Roscommon county portion of the road has crumbled into undrivable potholes and broken road. This is only one example of the need in other communities outside of Detroit Metro. Perhaps an additional user fee of sorts could be tacked onto I 75, 696, 275 and I94 could help. Not sure how to implement that. Also I believe in doing the job right the first time and not cutting corners I.e. substandard road materials. Detroit has an extraordinary amount of through truck traffic from Canada and other states. Our superstructure needs to be able to accommodate the large daily year round volume of trucks. Other states have toll roads. That avenue of thought needs to be seriously considered. Overall the entire state’s roads need to be “fixed.” Please do not “damn” them as they are our lifeblood. What a wonderful, self-serving, me-first solution. Why isn't this article subtitled, "Because no one really gives a damn about Michiganders outside of Metro Detroit"? Perhaps instead of amending PA 51 we should consider amending the Treaty of Ghent so that narcissists like this author are the UK's problem, not Michigan's. I could not agree more, Disgruntled Taxpayer. What a self-serving editorial where the author thinks Michigan lives and dies only in his precious corner. The U.P. has 33% of the state’s landmass and only receives 13% of the total funding with the most extreme freeze/thaw winter this year that we have seen in decades. If he is asking the rest of us unworthy Michiganders, I’m sure we will all gladly vote to not bail his part of the state out anymore for the rampant fraud and corruption his county and others in Southeast Michigan continue to produce. I would be embarrassed to put such a shallow, righteous, unaware editorial out. Mr. Ficano is just spouting the same tripe we have heard for years. "We don't get our fair share because of Act 51", and that is why our roads are bad. While the REAL elephant in the room is that Infrastructure has been underfunded in Michigan for years. It would help if he actually did some research before writing about a subject he obviously has no idea about. Facts; Act 51 DOES take into account the amount of traffic. Urban and Rural roads are about 45% poor in all locations. this should show you that Act 51 has worked for the last 68 years (with hundreds of amendments). That Urban Counties receive about 5x per mile what Rural Counties do. MDOT Roads which receive 39.1% (actually more like 42%) only have about 10% poor roads and bridges. There lies the real and ONLY problem with Act 51. Perhaps the best spending formula would be to get rid of the formula and allow the highway department to allocate the funds where they are most needed. My recommendations to find funds to fix the roads. Cut all Legislature's pay by 25%. Cut all Pension funding or 401k matches for all State Govt employees by 25%. Reduce health care expenditures by moving all State Govt employees to HDHP. Other places to fix the roads are as follows: 1. Redirect to road repairs the $1.2 billion increase in state tax revenue that budget officials estimate will be collected next year thanks to a growing economy — with no tax hike required. 2. Defund corporate welfare in Michigan. Every year, the state spends hundreds of millions on a wide array of programs that transfer taxpayer dollars to a relatively small number of corporations and developers. Just one example is $75 million appropriated each year to the 21st Century Jobs Fund, a program that gives the money to or spends it on a variety of special interests. Total savings: $244.1 million. Redirect money from the Transportation Economic Development Fund to repairs of highways known as trunk line roads. This fund is another program that selectively benefits a handful of private interests. One example was $500,000 spent in 2017 on redeveloping a 535-acre industrial complex in Willow Run so it could be turned into a self-driving vehicle research hub. That money – and more – could have been spent on fixing the state’s highways. Total savings: $43.3 million. + Eliminate state arts grants. Among the recent grants was one for a garden poetry reading at a specialty farm in Ann Arbor. Total savings: $9.0 million. + Eliminate taxpayer support for the University of Michigan’s Ann Arbor campus. U-M would be a going concern without state taxpayer dollars. It also had a $10.8 billion dollar endowment as of 2017, the eighth-largest in the country, according to U.S. News & World Report. Total savings: $320.8 million. + Reduce funding for a government preschool program called the Great Start Readiness Program. Initially meant for children of low-income families, Great Start has been expanded to subsidize preschool for households with higher incomes. Spending on it has more than doubled since 2011, after adjusting for inflation. Reverting the line item to the 2011 level and redirecting the program to its original purpose would save $131.7 million. Total savings: $131.7 million. + End so-called enhancement grant spending, which is often added during midnight budget negotiations. An example is that in the last two budgets, $2 million was granted to the Grand Rapids Civic Theatre. The money was appropriated without public discussion, using a process that identifies the beneficiary only indirectly. Total savings: $115.5 million. + End extra school district retirement payments. School districts are responsible for paying the cost of state pensions earned by their employees. To relieve districts of some of that burden, the Snyder administration shifted part of its cost to the state. Some of this responsibility and expense can be passed back to school districts. Total savings: $100 million. + Eliminate state funding for AgBioResearch, a program at Michigan State University. The appropriation for it finances research that often benefits the agribusiness industry, which should pay its own way, and some of the spending is of questionable value. For example, MSU announced that its researchers had discovered the “evolutionary origins of the cultivated strawberry.” Total savings: $34.6 million. A list of terrible ideas. Absolutely NOT terrible ideas. They are wise and make a lot of sense. There is pork to be cut in government. No one has the will to do make the right decisions for the sake of all. I wish we had more level headed thinking such as this!! There is no debate that Michigan roads are horrendous and motorists are paying a steep price .A friend of mine called me yesterday, telling me that for the second time this year, he hit a large pothole south of Niles doing damage to his vehicle...cost of repairs for the two incidents was $1600. While we need to "fix the damn roads," what happens to our tax dollars allocated for roads is another matter. I have read that Michigan ranks dead last in road conditions among all states and sixth in revenues for roads. If that is the case, we need to follow the money . We have had both increases in gasoline taxes as well as registration fees. I own two hybrid cars which have been singled out for larger increases in registration fees. While I would rather pay more for gas to fix the roads, I have a feeling that not all the money for roads is going for that purpose. Maybe there's a problem with you friend's driving? On the good side this teaches folks to pay attention where and how they drive their cars, another Darwin thing?. Many roads are having problems, not nearly all. I or my wife have experienced nothing like the Gov's BS stories of car repairs! I think that the road fix should come from multiple sources, including, but not limited to, an additional gas tax, fees for heavy trucks, general budget. Placing such a large tax as the proposed 45 cent per gallon tax on gasoline places too much burden on low-income families that must purchase gas to get to work, often with gas-guzzling cars, not the electric nor higher-priced fuel-efficient ones that wealthier folks can afford. One has only to cross a bridge into Ontario to see how properly built roads can survive our winters. The true question is WHY Michigan's roads are built so badly. Who oversees the bidding process? This is exactly on point. Many analysts -- Professor Boyer at MSU, the Citizens Research Council, and others -- have made this recommendation. Three states -- Iowa, Kansas, and Nevada -- use the amount a highway or road is actually used, such as vehicle miles of travel, to allocate state funds to local governments. This makes a lot more sense than miles of road. Some areas, chiefly rural areas, have lots of miles of road but little traffic, whereas others areas have high amounts of traffic per mile of road. Better to allocate funds by amount of traffic. Act 51 results in much larger fund allocations per person in rural areas than urban areas. And federal DOT data show that road quality is much worse in the urban areas of Michigan (not just SE Michigan) than in the northern parts of the State. How about getting the money back from all the no-bid contracts that Engler and GrandMOLD gave out and allow to use sub-standerd materals<<<< Fed money was used in the Expressways they need to come and investagate were all the money went and WHY the contracotrs were allow to us substandard materals<<<< the NEW I696 allready has pot holes !!! Maybe, if we repaired our roads in concrete instead of the inferior, but, easy to repair asphalt the roads might last longer. It is terrible to see a road, new in asphalt, destroyed within a couple of years and ripped up and redone all over again. No wonder people joke about the orange and white barrels as state markers. We are always under construction. I saw the name Ficano and tuned out. He was one of the poorest stewards of resources I have ever seen in politics. Jail scandal. Turkia Mullin scandal. Signing off on ridiculous, self serving severance programs for his senior staff where clear conflicts of interest exist. I don't value Ficano's opinion on anything. We need to build better roads for sure. Ever since the environmentalists got involved we've had bad roads. The oil content was reduced in pavement causing more brittle surface . So instead of building 1 road to last 30 yrs or more we rebuild or repair the same road every 8-10 years. How does that save money or resources. Part of the problem is we are dead last out of the 50 states in the amount of money we put into the roads. Seeing we are a northern state with the freeze thaw cycle we should be in the top 10%. We used to have some of the highest weight limits for trucks. I don't like the idea of a 50 cent a gallon tax on gas. Our politicians are the ones that thought these were good ideas. If gas prices were under $2 a gallon, maybe. How about putting our car insurance rates on par with other states and take some of the money in the catastrophic fund and apply it toward our decrepit roads? Audit secretary of state. Where is all that money collected going?